The Notifier 5151AUS Series of conventional heat/thermal detectors has been designed specifically for the Australian and New Zealand markets using thermistor sensing technology to provide reliable detection of heat which would only be caused by a fire emergency. 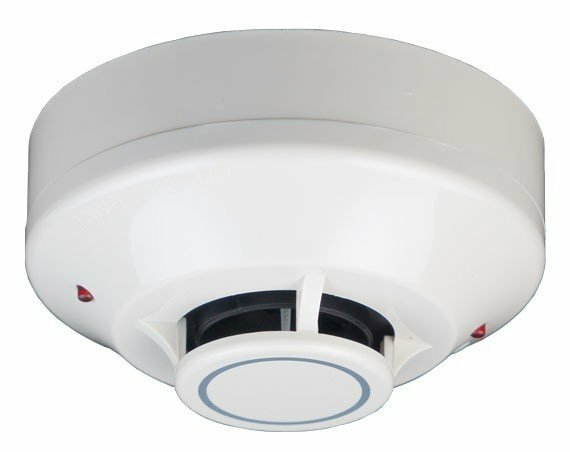 These detectors feature dual red LEDs and mounting base interchangability with Notifier's photoelectric smoke detectors. Model 5151RAUS is a low temperature heat detector featuring both fixed temperature and rate-of-rise operation for use in areas below 50°C without rapid temperature increases. Provides fixed point and/or rate of rise operation. Available in low temperature (63˚C) or high temperature (90˚C). Compatible with 100 and 400 series products. Dual LED design provides 360° viewing angle. Uses universal B401 plug in base.